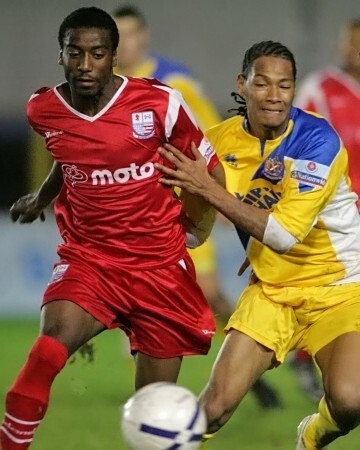 Tyrone started his career at Crystal Palace, where he came up through the youth ranks, making his one and only appearance for the Eagles in August 2005. The following month, he made five appearances for Notts County during a loan spell. The young midfielder was one of a number of signings made by former Manager Barry Hunter, arriving at Nene Park on a one month loan deal on 13 January 2006. Prior to the closure of the transfer window however on 31 January, an eighteen month deal was agreed, and the deal was made permanent with Palace receiving a fee reportedly of around £15,000. By the end of the 2005.2006 season, Tyrone had made a total of 13 starting appearances as well as coming off the bench seven times. During the following season, he made a further 23 appearances, nine off the bench. Following the arrival of Graham Westley as manager however, he found himself out of favour, and he went to Conference South side Lewes on 12 January 2007 on a one month loan. Following his return, his contract was cancelled by mutual consent and he was released on 16 February 2007, signing for Crawley Town the following week. 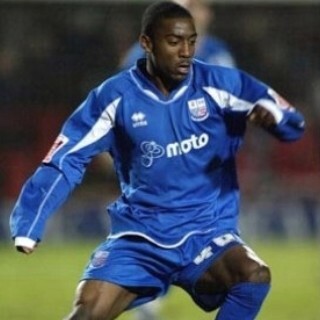 In December 2007, Tyrone joined Stevenage Borough, but was released at the end of the season after making some thirteen appearances. Following a trial at Gillingham at the start of the following season, he earned a one month contract, but was released in October. He had a trial at Hereford United, before joining Grays Athletic on 23 January 2009, but again was without a club at the end of the season. On 13 November 2009, he signed non-contract forms with York City but failed to get a game, being an unused substitute on two occasions. He left on 31 December 2009 and joined Forest Green Rovers, but only made two appearances before being released. He joined Isthmian League Division One South side Burgess Hill Town at the beginning of September 2011, scoring twice in 18 appearances for the Hillians, before transferring to Conference side Hayes & Yeading United on 27 January 2012. He was released on 21 March 2012 after just one substitute appearance, returning to Burgess Hill Town. In September 2012, Tyrone joined Isthmian Diviison One South Tooting & Mitcham United side for the forthcoming season, leaving in the summer of 2013. On 1 August 2013, he joined Conference South side Farnborough. After just five appearances and following continued financial problems at the club, he went out on loan to Isthmian Division One South side Eastbourne Town in November 2013, before returning to Farnborough in January 2014. After a further five appearances (and two goals in his final game), he signed dual-registration forms to join Isthmian Premier side Cray Wanderers on 10 February 2014. He left at the end of the season, joining Isthmian Premier side Kingstonian in July 2014. In July 2015 he joined Walton Casuals, but moved on to Whyteleafe in February 2016 before starting the following season with Three Bridges. He was still there for the 2018-19 season.